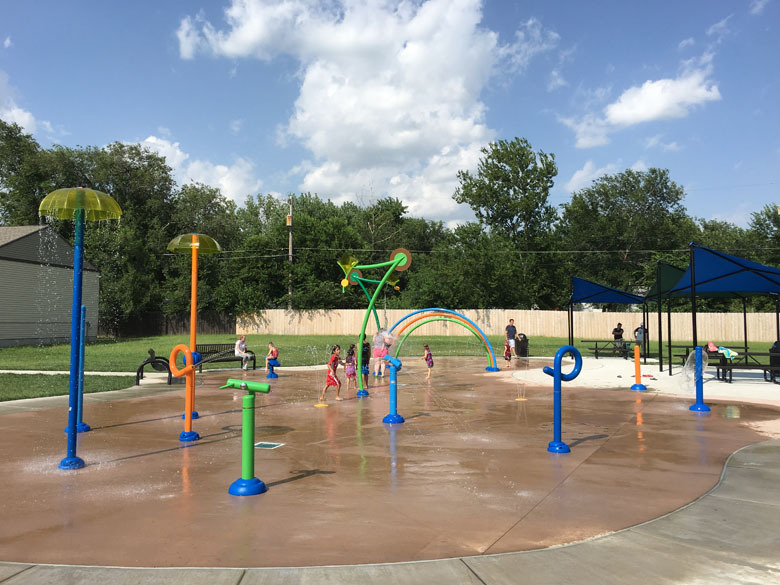 Colorful Splashpad for a Deserving Community. 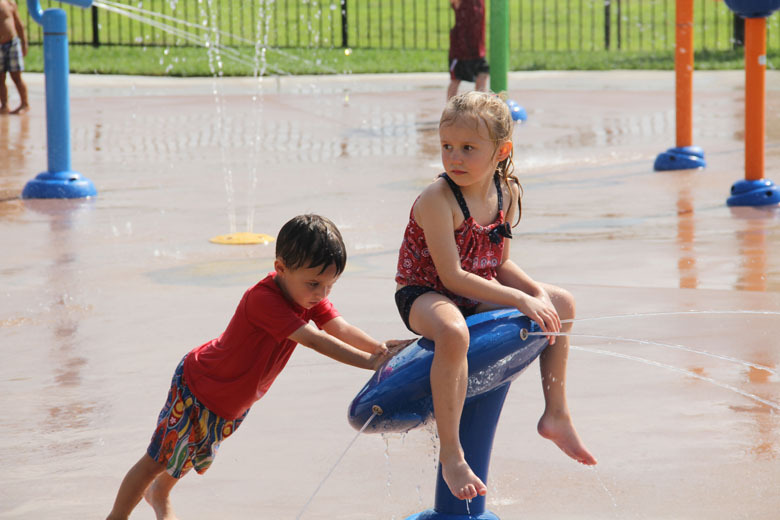 After much anticipation, Idlewild Park Splashpad opened to the public in 2016. 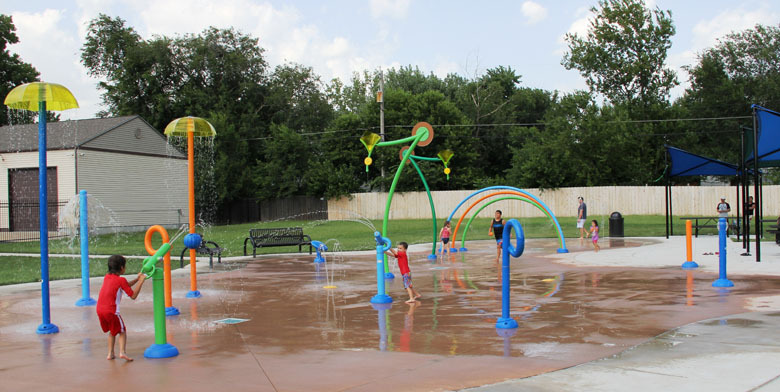 The Splashpad was a huge hit for the Oaklawn Improvement District (a community Southeast of Wichita). 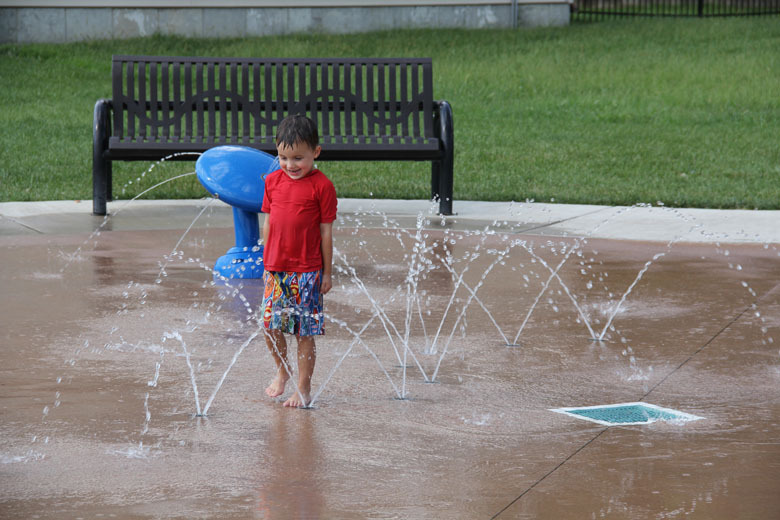 The 4,500 ft2 Splashpad has water coming from all directions and not a dry spot to hide. It features 30 ground sprays and 14 above ground features including the always popular Aqua Dome and 4 Water Cannons. The Splashpad project also included 4 shade shelters, tables and benches for parents to relax in the shade and watch their little ones. 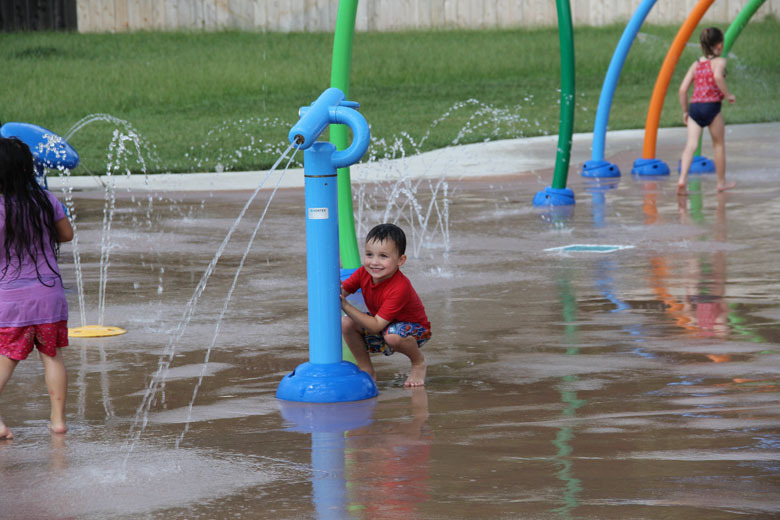 Let us help you turn your big ideas into a unique aquatic play project!